iThis/Agave Bud just started to spurt. It is about 9 inches in diameter, and grows more than 8 inches every day. It will peak at about 50 feet high, bloom bright yellow flowers, then die, and fall over in about four years. 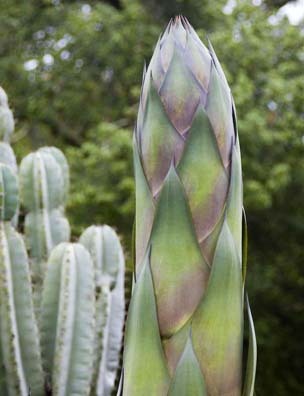 Often called Century Plant.